I am making these for the studio today and want to post! Happy Fall Y’all! We fall for flavors of this season like pumpkin spice and everything nice, so when we wanted to find a nutritious recipe to fuel our fire, we looked no further than the great pumpkin. More than just a decorative Halloween piece or pie filling to be eaten once a year, this low fat, high fiber fruit is rich in antioxidants, vitamins, and minerals. To bake this goodness into a healthy, high energy bar, simply harvest these ingredients, combine, cook and continue on your way. These bars are perfect to eat pre and post workouts. Directions: Preheat oven to 350. Spray a 9 X 13 pan with non-stick baking spray of your choice. Set aside. Mix all dry ingredients in one bowl and all wet ingredients in another bowl. Combine and press evenly into pan. Bake for 25-30 minutes. Let cool, cut into squares and enjoy! 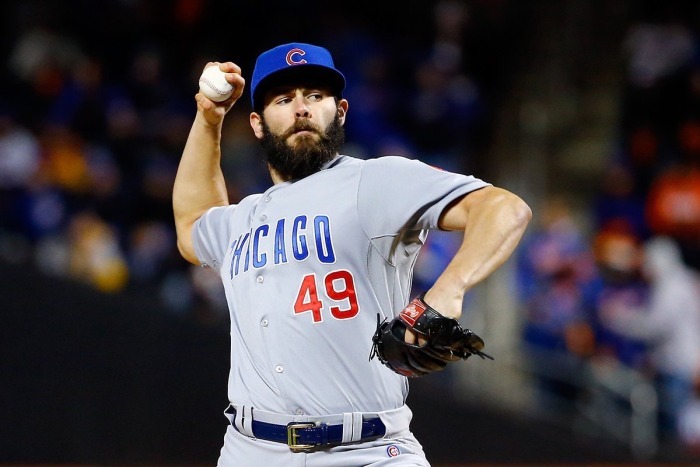 Jake Arrieta became obsessed with Pilates after happening upon a studio in Austin one day with his wife, completely by chance. He took sessions three times a week. He ordered a custom-built reformer for Wrigley Field and put it in the only space available, a cramped storage room that doubled as manager Joe Maddon’s media interview room. Last season Maddon conducted media briefings while Arrieta ground through his Pilates workout just a few feet away. Arrieta has since turned his garage into a Pilates studio, and his trainer works with him six days a week. Keeping your feet strong and flexible can help reduce foot and ankle pain, reduce muscle soreness, improve your overall foot health, and keep you active. Exercises that improve range of motion and help limber up your feet may reduce your chance of getting hurt. Slow and gentle stretches will improve your flexibility. Strength exercises will allow your muscles to provide better support and protection for your foot as a whole. You can do these gentle stretching and strengthening exercises three days per week or as often as every day to increase your range of motion and strength for lifelong foot health and vitality. If your feet and ankles ache a lot, if you have any injuries, or if you have arthritis or diabetes, be sure to check with your doctor or physical therapist before you start doing any of these exercises. Depending on your needs, your doctor may add other exercises or take away some of the ones listed here. This three-part exercise will start to get your toes and feet moving. Sit in a straight-backed chair with your feet flat on the floor. Keep your toes flat on the ground and raise your heels until only the balls of your feet and toes touch the ground. Hold for five seconds. Point your toes so that only the ends of your big and second toes touch the ground. Hold for five seconds. Keep your heel off the ground and roll your toes under so that that tops of your toes touch the ground. Hold for five seconds. Repeat each position 10 times. This movement will help you gain control over your toe muscles. Sit in a straight-backed chair with your feet gently resting on the floor. Spread all your toes apart as far as comfortable. Hold for five seconds. You can make this exercise harder by looping a rubber band around the toes of each foot. This stretch is good to prevent or treat plantar fasciitis, which causes heel pain. Pick one foot up and place it on your opposite thigh. Grab your toes with one hand and pull them up toward your ankle until you feel a stretch along the bottom of your foot and in your heel cord. Massage the arch of your foot with your other hand during the stretch. Hold for 10 seconds. This exercise will strengthen the muscles on the top of your feet and toes. Lay a kitchen towel or hand towel on the floor in front of you so the short end is at your feet. Put the toes of one foot on the end of the towel, and scrunch your toes so you pull the towel toward you. You can increase the difficulty of this exercise by placing a small weight (like a can of soup) on the far end of the towel. This exercise will strengthen the muscles on the bottom of your feet and toes. Place 20 marbles and a small bowl on the floor in front of you. Pick up one marble at a time with your toes and place it in the bowl. Use one foot to pick up all 20 marbles. Keep good range of motion in your big toe with this three-part stretch. It feels good after having your feet crammed in dress shoes all day. Gently use your fingers to stretch your big toe up, down, and to the side away from the other toes. Hold the stretch in each direction for five seconds. Rolling the bottom of your foot on a hard ball can ease arch pain and treat plantar fasciitis. Place a golf ball on the floor near your feet. Put your foot on top of the golf ball and roll it around, massaging the bottom of your foot. Increase or decrease pressure as needed. Roll for two minutes on each foot. You can also use a frozen bottle of water if you don’t have any golf balls handy. The cord that runs up your heel into your calf muscles is called the Achilles tendon. Keeping it flexible can prevent foot, ankle, and leg pain. Stand facing a wall, with arms outstretched and palms on the wall. Place one foot back behind you with knee straight, and bend the knee on your other leg. Adjust your stance so that both heels are flat on the floor. Lean forward from the hips until you feel a stretch in your Achilles tendon and calf muscle. Adjust your stance if necessary to feel the pull while keeping your heels on the floor. To feel the stretch in a different place, bend the back knee slightly and push your hips forward. Hold the stretches for 30 seconds each and repeat three times. Walking barefoot through sand strengthens and stretches your feet and toes and gives a great calf workout. Walking in sand is more tiring than walking on hard paths, so make sure you turn around before you’ve worn yourself out. Find some sand — for example, at a beach, desert, or volleyball court. If you do these foot stretches and strengthening exercises regularly, your feet will thank you. The stiffness and aches will subside. The exercises can relieve your heel and arch pain, and even prevent hammertoes and stop toe cramps. Before you start doing your foot exercises, warm up a little bit. Walk around the house for a few minutes or ride a stationary bike. You just want to get some blood flowing before you stretch your tendons, ligaments, and muscles. These exercises and stretches shouldn’t be painful. Be gentle with yourself. You could be pressing too hard on the golf ball or stretching too far. Ease up a bit. If it still hurts, stop the exercise and talk to your doctor or physical therapist about how to proceed. If any of the instructions aren’t clear or if they don’t seem to be helping your problem, call your doctor for some guidance. “Fitness is a crystal ball in medicine today. If we look at health outcomes and prognosis, how people do over the long term, invariably it’s the fit person who does the best with respect to any given medical condition, whether your a cancer or heart disease survivor, overweight, diabetic or live with Fibromyalgia. There’s a vital role for physical activity and structured exercise in improving your outcome.”Barry Franklin, Ph.D.
Pilates is an exercise that can be used with fibromyalgia, it allows us to improve body awareness, range of motion, balance, flexibility and musclular strength. Pilates exercises emphasis movement and low to no impact on the joints, but still allow the muscles to be worked through a full range of motion. Gentle Pilates is movement done in a slow and controlled manner with quality verses quantity, reducing the possibility of over working and causing pain. The emphasis on a full breath will benefit a fibromyalgia patient by reducing their stress level. Gentle Pilates allows the client to reap the benefits of exercise without the exhaustion of a typical strength routine. So excited to be getting my training and certification in early August for Drums Alive!!! This will be something new I will be adding to my repertoire of movement and fun to my life! Besides awesome Reformer and Barre workouts which are amazing already!!! The drum is one of the most ancient instruments dating back tens of thousands of years. It has been used for generations. Drumming captures the heart of most that encounter it and connects us with the deeper rhythms of life. It has the potential of allowing the mind, body, soul, nature, spirit, and the cosmos dance to share their intimate dialogue and speak in a tongue that unites us all. Drumming is a powerful experience and most simply, it is FUN! to stimulate the 2 brain hemispheres. activate and increase Alpha Brain wave activity. – Let your spirit fly and enjoy the essence of your movement! Ok Everyone! Another tip from me on Cinnamon and Honey! 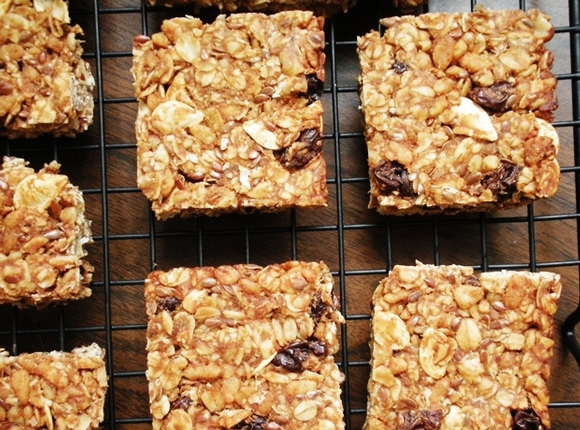 No Bake Energy Bars — Yummy! Chill for 1/2 hr. Then I roll it between 2 pieces of waxed paper about 1/2 inch thick and cut into small bars and put into foil. Note: I have 2 little bars in one foil, so you really feel like you can split them before a workout and after if you would like!